Settle down for movie night. 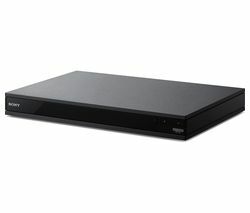 Whether it’s the latest Hollywood blockbuster in glorious 4K, a much-loved classic film, or the latest Netflix Original, we’ve got a Blu-ray player for you to watch it on. Bring your movies, TV shows, and games to life with the perfect sound bar. Get that cinema-like experience with Dolby Atmos or DTS Virtual:X, or request a song with built-in voice control. Whether you love sports, documentaries, or gritty thrillers – a home cinema system will make you feel like you’re part of the action. With rear speakers you’ll get a true surround sound experience. An all-in-one system that fits neatly under your TV, all your entertainment is brought to life with virtual surround sound. With Bluetooth you can stream music wirelessly too. To really immerse yourself in the action and drama of entertainment you want room-filling sound. Home cinema systems are great for large rooms or open plan living. With speakers dotted around the room you can create true surround sound – look out for systems with wireless speakers and sub. A sound bar with virtual surround sound can offer a cinema-like experience for smaller spaces – keep an eye out for Dolby Atmos or DTS Virtual:X for brilliant sound that envelopes you. They don’t take up much space either, especially if you opt for an all-in-one or compact sound bar, and sit discreetly below your TV or be wall mounted. For an all-in-one solution where you don’t have to worry about extra speakers or a sub, consider a soundstage. It has a flat and compact design for sitting under your TV, but still delivers rich, detailed virtual surround sound. 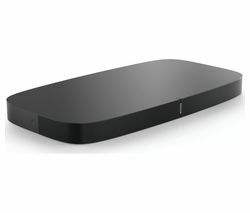 About the height of a DVD player, a soundstage is a compact solution that will fit neatly under your TV or on a shelf on your TV stand. Because the sub is built-in, you don’t need to worry about where to place an external subwoofer and setup is super simple. Sound bars are generally flat and stretch most of the length of your TV. Because they are shallower in depth than a soundstage you can easily place it just in front of your TV or wall mounted below. Choosing a sound bar with a wireless sub offers more flexibility on where you can place it than a wired sub. Alternatively, go for an all-in-one design that has a subwoofer built-in. Smaller screens deserve great sound too – see our range of compact sound bars to give the TV in the kids den or your bedroom a boost. With a multi-room system you can have the same song playing on different speakers, or control each speaker individually, all from just one app. It’s a great way to fill your home with music – you can group together speakers by room, so you can have music playing in the living room perfectly in sync with what’s playing in the kitchen. Whether you’re looking to setup a multi-room system or thinking about expanding your setup in the future, it’s important that all your speakers work together. Generally, multi-room speakers only work with other speakers from the same range. If you’re looking for a more open system, consider speakers with Chromecast built-in as they work with other Chromecast speakers from different brands. 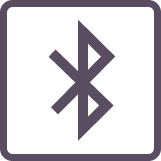 For fuss-free wireless streaming from your smartphone or tablet, opt for a system with Bluetooth. Simply pair and start streaming from your usual music apps, including the likes of Spotify and Deezer. With a wireless range of up to 10 m, it’s perfect for enjoying playlists and podcasts at home. Plus, with simple setup, it’s easy for the whole family to use. 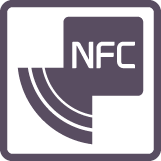 Pairing your smartphone with your home cinema system, sound bar, or soundstage is even easier with NFC (near-field communication). 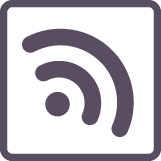 Just like using a contactless card, simply touch your NFC-enabled smartphone to the relevant spot on the speaker to quickly pair and start streaming. 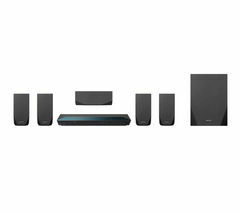 For some extra bass that brings movies to life and gives your music depth, consider a system with a wireless subwoofer. The sub has a wireless connection to your sound bar – so they’ll be perfectly in sync without the need for trailing cables. This gives you the freedom to place the subwoofer where it suits you in the room – all you need is a power socket. Finding the perfect setup for your home entertainment doesn’t need to be complicated – we’ve got something to suit your space. A soundstage is an all-in-one compact system that sits under your TV. Because you don’t need an external sub, it works in any room, with any setup. By creating virtual surround sound, you get brilliant sound that most TV speakers just can’t match. A sound bar can be placed just below your screen or wall mounted along with your TV, giving you flexibility, even if you decide to change your setup in future. Sound bars come in a bunch of different designs, including compact sound bars, all-in-one sound bars, and sound bars with wireless subwoofers. Look out for sound bars with Dolby Atmos or DTS Virtual:X for brilliant virtual surround sound. For true surround sound, opt for a home cinema system. Most include a Blu-ray player, sound bar, subwoofer, and rear speakers, so you get the full depth of sound from your movies and music – it’s the perfect setup if you’re a cinema buff, sports fan, or music lover.